Looking for a Cool New Exercise Class in Crawley? That’s the sound of our ever popular Muay Thai Fitness Classes here in Crawley. Every morning at 9:30am our members are put through their paces for an hour of cracking pads with punches and kicks, before working through a variety of exercises. Our classes are open to anyone who’s looking to get in shape and looking for an exercise class in Crawley that’s a lot more fun that’s watching television as you use a cardio machine. Had a bad day? Hit some pads. Feeling stressed? Hit some pads. Want to lose weight? Hit some pads! Working with boxing, thaiboxing and kickboxing pads is one of the most effective ways to burn calories, build cardiovascular fitness and learn some cool new techniques (there’s a little bit of self-defence thrown in there too)! Our exercise classes are based at the Crawley Martial Arts Academy, the gym is fully equipped, matted and has parking and changing facilities. To find out more you call us on 01293 552 511 or enter your name and email address in the box on this page. Let’s forget dieting for a moment and (instead) just call it eating. We don’t diet and exercise here – we eat and we train. Eating is what we do and it’s something we’re working to improve – literally – one bite at a time. Below are five rules for eating better and creating a NEW improved and permanent diet that lasts (of course if you need help our team of personal trainers are on hand to offer training and nutrition help). Rule #1 If it doesn’t go bad, don’t eat it! What I’m taking about is the fact that real food go bad. Fruit and vegetables start to decompose and go off. Microwaveable meals on the other had – don’t. Food that goes bad is what our grandparents just called food. Nowadays it’s something we have to go out of our way to buy and eat. We have too many alternatives, too many preserved, processed and ready made foods to eat. Don’t buy processed and prepared meals (this includes many breakfast cereals) eat good old fashioned food from raw ingredients. Porridge (for example) is just oats. It’s not a concoction of ingredients and additives that have been created in a factory and boxed for us to eat. That’s the most important rule out of the way! For the majority of us the problem (or the reason we’re overweight) is because we eat the wrong kind of food – go back and read rule #1 again – and second, we eat too much. What’s the right size portion? Well that’s different for everyone but one thing we can all do is STOP eating when we’re 80% full! Unfortunately we’ve all been educated by our parents to clean our plates and eat everything. 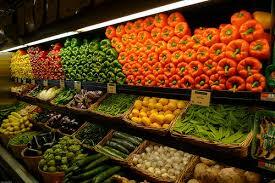 Eating real food actually makes us feel fuller that eating the equivalent amount of processed food. It’s called satiety and processed foods don’t tell us we’re full in the same way. Our body is constantly turning over protein. What does that mean? It’s constantly breaking down and building back the tissue (including muscle in our body) so it’s important we supplement the process by adding sufficient protein into our diets. In addition to supplying these all important building blocks (some of which can only be got from food) by consuming protein at every meal can help improve your metabolism, reduce your cardiovascular risk, improve your weight loss profile AND lead to a higher metabolic rate (more info). It’s win-win-win when it comes to adding lean protein at every meal. And yep, that includes breakfast! Now the UK government have been great in funding the Change4Life scheme that promoted having your five a day but it’s better still to start seeing them push one step further and talk about seven. Maybe it does but first remember that fruit and vegetables are typically higher in nutrients and lower in calories. And while fruit does contain a lot of sugar (so you should focus more on increasing your veg intake) the benefits of all the cancer fighting, free-radical destroying properties of fruit and veg make it well worth while. Plus you can eat a lot of veg to bulk your meals, fill you up and withing worrying about the extra calories that extra spud would have added. More cancer fighting fruit and veg please (ideally 2 at every meal)! It’s sad that we associate being fat, sub-cutaneous fat (the stuff under you skin) and visceral fat (the stuff around your organs) with fat from food. Fat isn’t bad for us (in the same way as carbohydrate and protein isn’t bad) it’s just another key ingredient for a healthy diet. If you needed any proof of this then how about the trillions of cells in our body that are all made up with a cell membrane of fatty acids? And how about the fact that our hormones rely on fat? What you need is to understand and identify what healthy fats are AND to balance your consumption of monounsaturated, polyunsaturates and saturates (all while avoiding transaturated fat). The problem is we eat too much of one kind of fat (saturated fat) and if you don’t believe me then see what the NHS have to say here. What you need is a healthy balance of the right fat types for optimum nutrition. Our Western diet is too carb heavy and (when I think of my mother) I remember having lasagne with potatoes – a heavy carb dish with a side-serving of carbs. We need carbs, they are fuel and without them your body will often turn to protein and start breaking down your muscle tissue in order to fuel itself. What we all need to do is eating less carbs and at the right time. The right time depends from person to person (some of us tolerate carbohydrates better than others) but as a general rule it’s good to earn them and eat them on the days we’re working out. The best time of all is right after a workout, when the cells in your body are primed and ready. Eating the right amount of carbohydrates at the right time is something we discuss with all our clients during our personal training sessions. It’s one piece of the puzzle. Helping people change their eating habits, one habit at a time so that instead of short term gains and faddy eating we help people create long term, sustainable eating habits that help them lose weight and stay healthy. If you’d like to find out about our personal training, exercise classes or nutrition help them either either your name and telephone number in the enquiry box on this page or call us on 01293 552 511. It’s been a busy month so far with good numbers turning out for our daytime and evening Brazilian Jiu Jitsu and Muay Thai classes. Off the back of our Muay Thai Mayhem show, with the British Open BJJ competition and of course the Summer everyone has been training seriously hard! If you want to find out more about learning Brazilian Jiu Jitsu or Muay Thai then get in touch with the gym on 01293 552 511 or (better still) enter your details in the box on the side of this website and we’ll give you a call. Our classes run 7 days a week – we have mornings, daytime and evening classes and cater for everyone regardless of fitness or experience level so you don’t have to worry – we all started in exactly the same place. Get in touch, get fitter, get strong, learn something new and have fun doing something very, very different! We come from a unique background and know that our personal training here in Crawley is one of the best ways to get cardiovascular fit and build a strong, lean body. Our training is a great way to burn a lot of calories (and if you’re serious about losing weight and burning fat) creating a negative energy balance should be your main goal. Simply put – you consume less calories than you burn and we can help you burn a lot of calories. During our 1-2-1 training sessions our personal trainers will help you get warmed-up, put you through some mobility work to prepare your body. Since our background are the fighting arts (think Boxing and Muay Thai – similar to kickboxing) we use a variety of intense drills and pad work to get your heart rate up. You’ll work through several rounds on the pads with your trainer – learning new techniques and combinations – before moving onto an exercise session where you’ll focus on building your strength, burn even more calories and get you in fighting shape without having to fight! Our personal training sessions take place 7 days a week and our team of trainers are flexible with times and sessions at our gym in Manor Royal, Crawley. While you can pay as you go and book single sessions – the magic happens when you commit to a block or 10 sessions because it ensures you train consistently and regularly. And that really is the key. Training consistently and regularly. Plus our trainers will encourage and motivate you. And are always on hand to offer advice on extra training you can do on your days off (remember weight loss is about creating a negative energy balance) and essential nutritional tips that make the difference. To find out more about our personal training or (better still) to get started fill in the contact form on the side of this page. You can call us on 01293 552 511 but we may be teaching (we’d rather be in the gym than manning the phones) so just leave a message and we’ll get back to you as soon as possible.